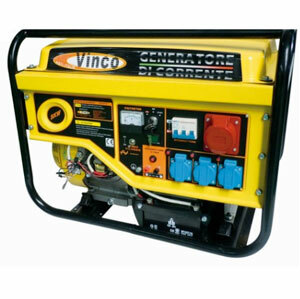 The generator is a specific instrument with which you can take advantage of electricity everywhere. 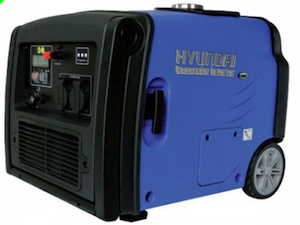 From small necessities, to more serious emergencies, from camping to outdoor life, from village festivals to walking activities, not to mention homes or medical facilities, industrial activities and much, much more .... the generator can be used to power many power tools or special machines such as welding machines, to illuminate your summer evenings outdoors. The search for different and ever more modern technologies has allowed us to have very competitive and heterogeneous products that fully meet the most diverse requirements: powerful, reliable motors, inverter technology, with a pull or key start, silenced, portable, single-phase, three-phase, with ATS framework. Each with unique properties to respond to a large audience of customers with different needs; the brands on our site are the best nationally and internationally and offer reliable products. Artisans, professionals, hobbyists, organizers of outdoor events, security operators and emergency response .... Take a look at our proposals and you will not be disappointed. Do you have to buy a power generator? Where do you want to buy it? How long does it take to arrive? The answer for these questions is simple: Lineonline; a wide range available in stock to ensure delivery within 24 hours of confirmation, secure payments with PayPal and the best credit institutions and online payments; safe shipments on wooden pallets and made with the best express couriers. These are just some of the advantages that Lineonline offers its customers. If you need to buy a generator and do not know which, where or how, rely on the professionals and choose Lineonline. Power generators: The best of 2017, purchase guide. All types: single-phase, three-phase, inverter, silenced, gasoline or diesel. Of all powers, from 1 to over 10 kilowatts. All models ready for delivery and available for shipment within 24 hours. 2. How often will I use my generator? Rarely, frequent or intensive? 3. What should I connect to the generator set? What kind of current do I need? 4. How powerful must it be? 4c . 3Kw power generator: when to buy it? 5. In what environment should I use my generator set? Silenced current generator or open current generator? Most users do not fully understand the variety of generators on the market, therefore making incorrect purchases. This is because people do not take into account, for example, the power of the generator set rather than the place where the generator will be predominantly used, or other relevant factors. 1. What use should I make of my generator? Rare, frequent or intensive? The price is convenient . This type of generator, according to the model that will be chosen, can supply energy from a minimum of 220V up to a maximum of 380V . 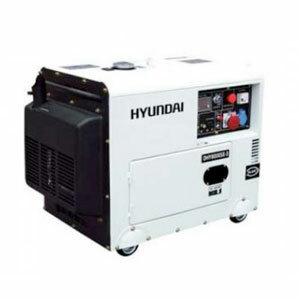 A wide range of generators allows you to choose the most suitable one. Also in this case, depending on the model, there will be a voltage from a minimum of 220V, up to a maximum of 380V. 2. What should I connect to the generator? What kind of current do I need? If you plan to use the power generator in the domestic environment you need to buy a MONOPHASE generator, since it produces maximum 220V , which is precisely the energy that is supplied in the normal home network. A particular type of current is the industrial one as it produces 380V . A THREE-PHASE generating set is required for this type of current; you can attach electrical appliances that require this type of power such as construction site mixers, column drills, etc. Great! What you need to know is that there are also both single-phase and three-phase current generators on the market. How is it possible? They simply have two electrical sockets: the BLUE one is the single-phase power socket (which supplies 220V power). The second is RED and it is the THREE-PHASE, which provides 380V . If you want to connect electrical appliances such as smartphones, computers, flat-screen televisions, modems for Wi-Fi, etc. to your current generator, we definitely recommend an inverter generator set . The peculiarity of these machines is to provide "clean" electricity, stabilizing the current so as to avoid sudden changes in voltage that can damage your appliances. In addition, they are very light, silent and consume little, as they adapt the power according to the electric energy required. 3. HOW POWERFUL SHOULD IT BE? Power generator: small, medium or large? - 3kw power generator: When to buy it? It may be useful to know that this type of generator is in great demand on the marke, because it is very versatile and reasonably priced. 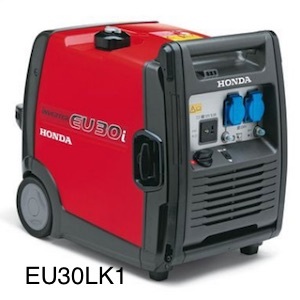 HONDA generators are the best sellers (for example, the technogen H3500 and technogen EU30IK1 ). 4. In what environment should I use my generator set in? SILENCED current generator or OPEN current generator? It may be useful to know that the SILENCED generator set exists . The product is recognizable because these current generators are "boxed": the electronic and mechanical parts are enclosed in a plastic or metal casing, so as to limit the noise. In this case you can buy a normal generator or as we say "open" in jargon . As you can guess, this type of generator has the uncovered electrical and mechanical parts , making it more noisy. For this reason it is advisable to use it where the noise emissions do not bother others. A versatile product is certainly a practical and functional product. These are the characteristics of the PORTABLE current generator . 5. If I am unable, can the generator can operate alone? 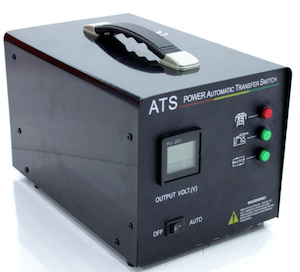 The ATS is an electrical panel that is connected to the generator and to the electricity grid. When this fails, the ATS via a special device understands that there is a lack of voltage and then automatically activates the generator, which will supply the necessary electricity. This type of current generator is less sophisticated, however, you need to run your appliance. Instead of the classic pull starter (through a cord that is pulled by operating the engine) it has a button that automatically switches the current generator on with just the pressure of the finger, making it less demanding for the user. 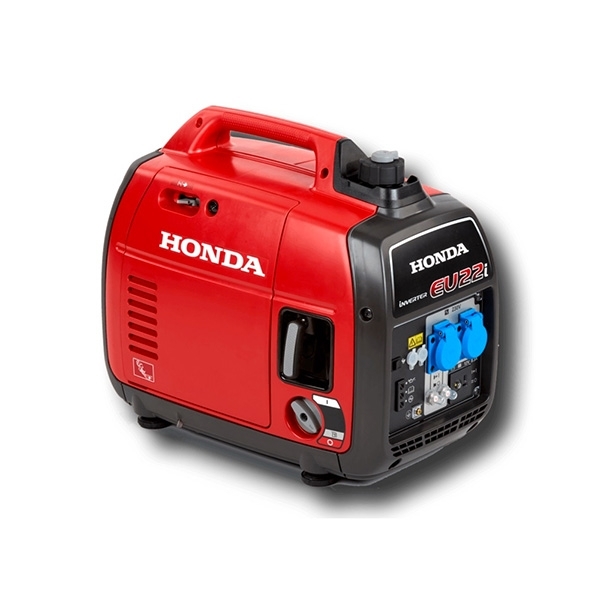 Honda offers a wide range of current generators that can satisfy any need, both for professional and domestic work . They deliver extremely stable electric power and most models are powered by gasoline. Honda engines, which are robust, maintain all their power with incredible regularity, even for very long periods and in severe working conditions. 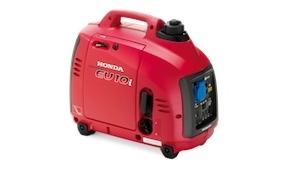 Honda, always at the forefront has invested a lot in INVERTER technology . This technology stabilizes the electric current by depriving it of power surges that can damage the appliances connected to it. The inverter current generator supplies electricity as much as required by the appliance, thus reducing consumption and adapting the power based on absorption. 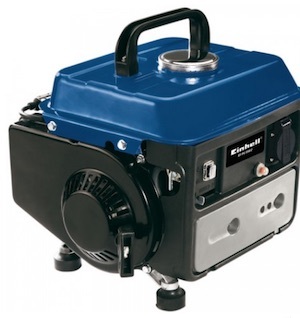 This is an easy-to-carry generator because it is not heavy, it can be used anywhere due to its low noise level and fuel consumption is minimal. Solid and robust is the combination of adventures of many users. The generator set provides 1 kW of energy. Engine: 4 stroke, OHV, 1 cylinder. Fuel tank capacity: 2.1 liters .